Archos is well known in the Philippines as one of the early sellers of low cost tablets. The French company is now wading into the Android smartphone arena. I saw two of their products at a small shop in ATC, and the units are well built. The more interesting of the two is the Archos 53 Platinum. The Archos 53 Platinum is a 5.3-inch phablet which comes in a reasonably thin 9.2 mm case. Inside is a 2800 mAh battery, which is bigger than the 2000 mAh unit normally found on low cost 5.3-inch phablets. Well this is the good news. The rest of the package is less than impressive. The Archos 53 Platinum has a suggested retail price of Php11,995. It is being offered for sale at a Php500 discount, bringing the price down to Php11,495. 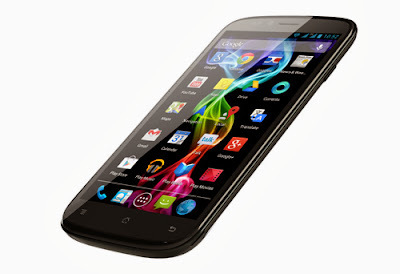 For that money, Archos gives you a 5.3-inch qHD (540 x 960) display. There are a fair number of HD (720 x 1280) handsets at this price range. 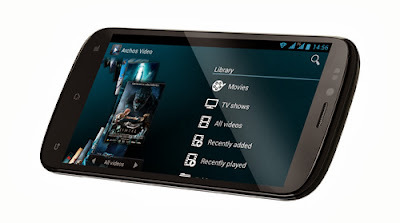 Inside you will find a Qualcomm M8225Q chipset with a 1.2 GHz quad core ARM Cortex A-5 processor and Adreno 203 graphics. While the Adreno 203 graphics can run a qHD display, Qualcomm itself recommends that the Adreno 203 be used in handsets with a FWVGA (480 x 854) display. These days you see the Qualcomm M8225Q on handsets selling at below 5K. The Qualcomm M8225Q also means that you get HSPA connectivity and not HSPA+ speeds you will see from MediaTek powered competitors. Like other Qualcomm M8225Q, it runs on Android 4.1, JellyBean. The Archos 53 Platinum also offers 1 GB of RAM, 4 GB or internal storage expandable via a MicroSD card, a 8 MP autofocus primary camera with a BSI sensor and a 2 MP front camera. All-in-all, it is a decent enough package to give a good Android experience. Still, it does seem overpriced for what it offers. We already wrote about Smart's Gadget Plus plans last month. 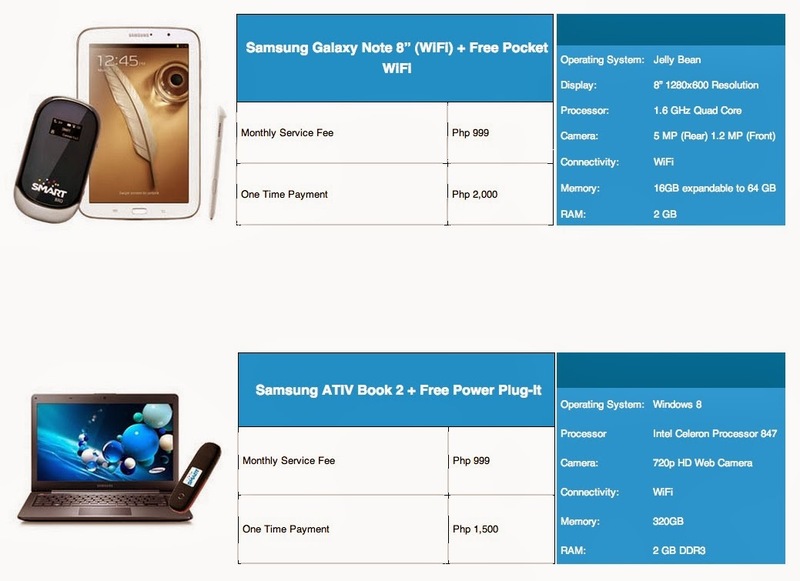 These plans would allow you to get an Alcatel Tab 7 HD tablet or Samsung Galaxy Note 8, bundled with a Smart WiFi router and 50 hours of internet. Smart has now expanded the plan to include laptops. You have the choice of a 14-inch Samsung ATIV Book 2 or 11.6-inch Acer Aspire V5 122P touchscreen laptop. The tablet plan for the Samsung Galaxy Note 8 has also been revised with a cash out of Php2,000 being added. - Php999 a month for 50 hours of internet plus your selected device. - Hours used in excess of 50 will be charged at Php5 per 15 minutes (Php20/hour). - Should you go past 80 hours you will be charged a total fee of Php1,599 for the month and you will be moved to an unlimited data connection for that month. - Should you go past 80 hours you will be charged a total fee of Php1,299 for the month and you will be moved to an unlimited data connection for that month. None. Tablet and router are free. Nokia Lumia 1020 - Too much of a good thing?